Today I’m showing you a summer animal. I had this idea for a cow! I mean what’s more summer than the smell of cows, no just kidding! I started with some basic ovals for the head and mouth (what’s that called on a cow again?) and then a curve at the bottom and a line connecting the sides. Of course I had to add some eyes too. Wouldn’t this be a cute table runner! I wanted to show a picture of our "local" cows the "oreo" cows or rather the belted galloway cows. I will pick a winner Monday the 29th! This cow is so cute, thanks!! Very Cool Bea, I like it.. and a great way to use those shapes. How fitting, since I live on a farm with cows. Thanks. This will definitely be used. Great project! That cow block made me smile! Another great baby quilt idea, thanks! Okay, I confess, I always think of cows as summer animals. In the summer I see them in the fields much more than in the winter where they obviously hide and huddle together. That is just the cutest little cow and what a perfect table runner! Thanks for sharing Bea! Super cute cow applique. And to make a tabel runner from it that was creative. The cow is adorable..... I looked at the others as well and wish I had picked up on this earlier....absolutely love it! Love this series.... your cow is adorable. I love cows and am so glad you designed this and shared the pattern! Thank you! Thanks for the giveaway, too! That cow is so cute. I just love how everyone is turning all those shapes into such cute animals or flowers. This has been a lot of fun seeing what everyone has worked out. this little cow is just adorable. Thanks for sharing. super cute. I love watching calves run and play around our place. It's so cute! Thanks for the Tutorial! Have a nice day! Great manipulation of the different shapes! Thanks for the easy to follow tutorial!! Hahaha.....your moo cow is too cute! Your cow is adorable! Thanks for the tutorial and the wonderful giveaway! Love the cows. Thanks for sharing. I would love to win the add on software - EQ7 is on my wish list for Mothers Day. How did I miss that cow? That's great! Great cow!!! Thanks for sharing your idea! Really cute cow...so sweet! Thanks for sharing. You made the cow look so easy to draw. Very cute! Thanks for the cow. My great nephew will love this. The moose is super cute! Are you going to do a bird? Such a cute pattern! thanks for the download! 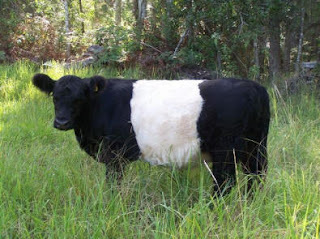 I never knew what the real name of the oreo cows was but always thought they were cute, thanks for the real name. You make drawing in EQ look so easy! Thank you for the tutorial! I am going to have to make time to practice! MOOO! this will go with the new farm fabric I bought...keep 'em coming! How can I resist this cow? Unbelievable! You make it look so easy, so now I've got to got try it, too! Thanks. Thanks for sharing the cute cow. I love using my EQ and this blog hop is inspiring me to try some fresh ideas. I'm just amazed at what everyone is making with EQ. Thanks for sharing your cow. I love cows, we raised them on our farm. Sometimes I miss that, but driving around and seeing them in pastures gives me the great feeling I get from them. They are beautiful majestic animals. Love to win a copy of this software so I can create my own designs. Thanks for the review and giveaway. I LOVE the cow! Thanks for the chance to win! Just found your blog this evening. Looking forward to working through your EQ7 tutorials. I just recently got EQ7and EQ Stitch. I love the cow. Glad I discovered the blog hop today, I have to catch up!